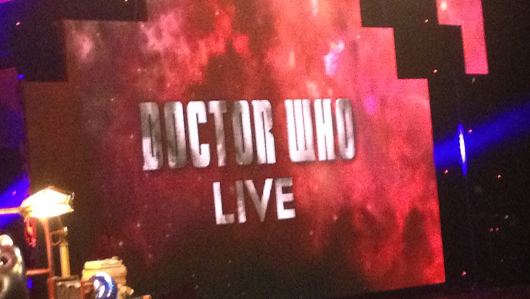 We were asked by the BBC to provide 11 televisions and have them working on set for the live TV transmission of Dr. Who Live. They wanted each of the 11 TV's to fit the time period of a specific past doctor from the TV series. We supplied the TV's and connected them to DVD players via video convertor boxes so the footage plaved throughout the show. The TV's were built into the table and were behind the presenter. Here's some footage of the broadcast where you can see the televisions in action!